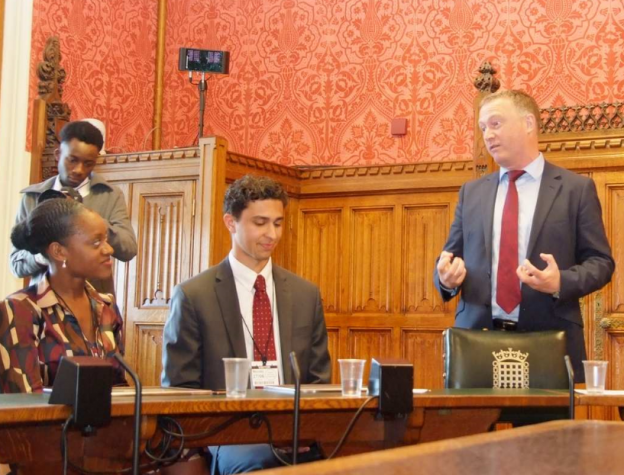 Steve Reed MP has congratulated two Croydon North constituents for winning Universal Peace Federation Youth Achievement awards. Steve presented the awards to Katrina Estien-Thompson and David Thompson in Parliament. Katrina co-founded the not-for-profit organisation Diverse Leaders Network, which helps build links between classrooms and professional leaders from diverse backgrounds. David’s work as a volunteer took him to Uganda for 6 weeks, where his goal was to provide re-usable sanitary pads for girls and women in the local area. “Croydon is home to incredibly passionate young people who are determined to do what they can to help others. “It was a pleasure to present Katrina and David with their award as recognition for their hard work. Katrina’s organisation which she co-founded provides a very important link between society and education, while David’s impressive work in Uganda shows the real change which can be achieved with compassion and dedication.